【西方文化】A Guide to the Western University Party Life - Drinks & Party types! Hello everyone! It has been awhile since I posted something so it is about time I shared something. This topic is of special request from Bee, the topic is everything there is to know about Western College Parties (note I use college and university interchangeable). While she didn’t get to participate in any while she was in Hong Kong, I did while going to university in North America. So to share my experiences of western college parties and feed Bee’s curiosity below is everything you need to know about the party life. The first thing that needs to be said, is that college parties are not like the movies. Sure the premise is similar but they are WAY toned down. There is not limitless drinks, headliner bands (See old School, it’s a great movie), gorgeous girls and muscular guys. Nonetheless they can be a great time. The central aspect to these parties is of course drinks! Now for my Chinese friends we typically won’t drink Baijiu, surprise, surprise. 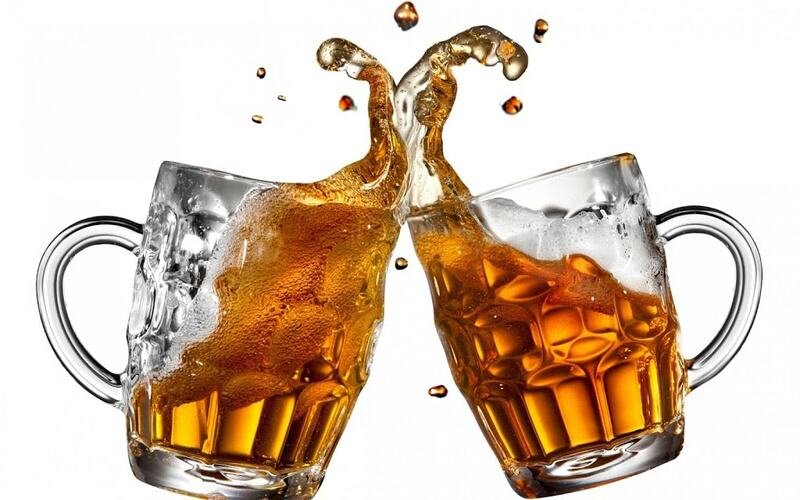 Below are many of the main drinks you will find at a part. an obvious choice that I am sure many of you would have guessed. My personal favorites are the Samuel Adams seasons brews and a good Asian beer (TsingTao or Chang). Unfortunately, most of these college parties are on a college budget. Meaning you will likely be drinking Keystone, Busch Light or if you’re lucky bud light. 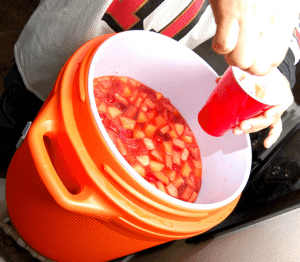 This is a mixed drink where by the party host , usually a frat house, will mix alcohol, juice and fruit into a cooler making some sort of concoction that will be sure to get more than a few drunk and drunk fast. To be honest it actually doesn’t taste that good but it is a cheap drink and easy to get drunk on. My personal recipe recommendation includes 1 bottle of Smirnoff Ice, 1 bottle of Hawaiian punch, 1 2L of ginger ale and add some sliced oranges from the school cafeteria if you can get them for free. Of course double the ingredients to make a larger batch! Now there is a reason I didn’t call these cocktails, they do not call for a slice of lemon peel or a fancy liqueur to add flavor. These are the bare bone mixers, I am talking bourbon and coke if it is a good drink, cheap vodka and Gatorade if it is a bad one. While there are not bad and a good alternative to beer if you do not want to feel bloated, take it easy on the sugary mixers. They will make your hangover ten times worse. A classic favorite for sorority girls, box “wine” makes the part seem a little bit classier while not being so at all. As much as I would not like to admit it actually doesn’t taste too bad. Good to try but best to avoid unless you are a girl with her friends. The one night I did have it gave me one of the worst hangovers of my life. Plus as a guy it is kind of a sissy drink. Now enough about drinks let’s get down to some of the types of parties on that you will find in a Western college. While there are so many to talk about, I will condense a list and try to highlight some of the main ones. These are most frequent in freshman year (1st year) and absolutely cringe worthy. Usually these parties do not have alcohol as everyone is usually underage so they get people out by giving away free school merchandise. Given that there are no drinks, besides the few that were able to booze within their soda bottle, it can get boring real fast. Furthermore, given that it is usually freshmen that attend these it usually pretty awkward with little mingling. So you, our small group of friends and a few people from across the hall decided to have a few drinks in your dorm room, this is the casual dorm party. A great time to hang-out with the bros or catch some solid facetime with the cute co-ed. Often these parties will be centered around a game of beer pong or flip cup. (see part 2 of 2, for party games coming next week). Okay so now your friends have called some of their friends and this casual dorm party just got a bit louder. Nobody is dancing yet, but everyone is having a great time and are 4-5 drinks deep. It is likely this party is no long just in your dorm but also the four adjacent rooms and even then it is too tight to move freely. You will be lucky to not have one beer spilt on you. These are the kind of parties you loved going to I your first few years and organized in your last, they are particularly frequent in the last few weeks before summer, allowing the seniors to party off their final weeks of college life. Usually these have some sort of special aspect to them, either jungle juice is provided, a sports team victory party or a large game is played such as beer Olympics or gin buckets. These parties are often similar to the senior parties but with a special and depending which one can be a lot of fun. One of my personal favorites is a “Round the World” party. This is where a group of friends host the party across several rooms, where each room serves alcohol from a different country. Such as the Mexico room has tequila, Russia room has Vodka, Italy room has wine, etc. Other great themed parties include, 80s style, animal, wear anything but clothes, toga and neon clothes. The final and last party type I am writing about and I have saved the best for last. This is usually the last party of the night and you have had a bit to drink so you are not too sure how you got there. This is the one where the jungle juice is flowing, the floor is too sticky from the spilt drinks, the music is too loud to think but you are having a great time. These parties always include dancing and if you are lucky you might find a cute dance or dance with your boyfriend/girlfriend. Although you might wake up in the morning with a bad headache or some regrets, there is no denying you had an epic time. While that is all for this post, check in again later this week for part 2! Part two will include a description of the best western part games, top tips for attending a western party, plus much more! 【異地戀難嗎?】♥♡Top 10 Ways To Make A Long Distance Relationship Work!